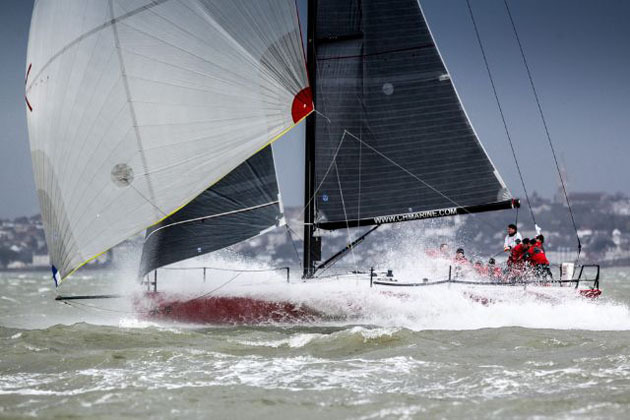 Sweet Victory for Conor Phelan’s Ker 37, Jump Juice, at RORC Easter Challenge 2016. 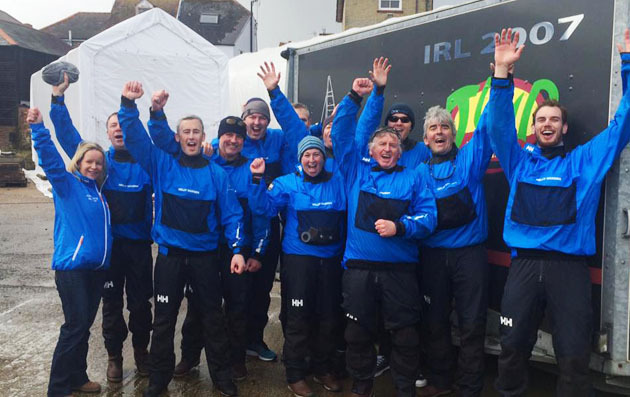 Conor Phelan with his jubilant crew at the RORC Easter Challenge. Jump Juice was racing in IRC 2 and was lying second going into the final race on EasterSunday. Finishing with a second in that race was enough to top the leaderboard from a fleet of seventeen while the overnight leader had to carry a score of eighteen in the final race. From a shaky start in the Fast 40+s Anthony O’Leary’s Antix came good in the final race with a win and ended up fourth overall. Also competing from Howth Yacht Club was Laura Dillon helming the Dutch crewed Winsone winner of their class. at the Challenge.